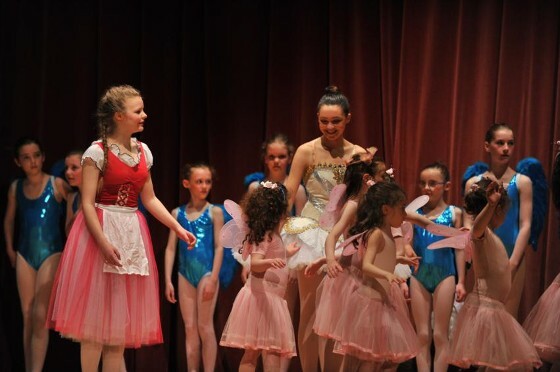 We encourage artistic expression, and pursue this further in our collective work towards a school display every 2 years, which usually takes the form of a full-length children's ballet with a classical theme. Alongside the syllabus classes, we also introduce classes diverse from the basic exam work which broaden the dancer's repertoire, and lend a more complete understanding of ballet themes and scope. Accordingly, a broader range of musical genres is explored to accompany these classes. Children who would like to try out one of our ballet classes are welcome to come along for a free trial lesson to see how they enjoy it. Just use the contact page to let us know. Please keep dates for the next show free in your diaries: Saturday and Sunday 28th and 29th September 2019 - at Church Hill Theatre again! Well done to all pupils for your wonderful performances in Hansel and Gretel. You were all fabulous and danced your roles beautifully. I am very grateful to you for all your hard work and for your care and support of one another during rehearsals and the show. Thank you, as well, for the beautiful flowers and delicious chocolates! So very much appreciated. In the meantime we will be working towards our RAD exams in November 2018 - precise dates for exams will be forthcoming. We are looking for budding artists among our dancers to help to design our new school uniform logo. The competition is open to all pupils who attend the school and the winner will receive a free hoodie and T-shirt. We welcome all entries to be in by the end of March 2018 and look forward to seeing all designs and ideas!